The beautiful mountain village of Valberg is one of the oldest ski resorts in this region of France, established in 1936. It's not hard to see what draws people to this picturesque area – at the threshold of Mercantour National Park, Valberg is full of natural beauty which you can explore on skis, on foot, or even on horseback. The village is known for its friendly, welcoming atmosphere, and today possesses a charming assortment of accommodation that is all arranged higgledy-piggledy up the mountain slopes. These include traditional farm buildings, small village dwellings, and sleek, contemporary designs. The other big draw of Valberg is its location. Set just over an hour away from the town of Nice, on the country's Mediterranean coast, good weather is almost guaranteed. Bright sun from the French Rivera warms Valberg's slopes in winter and ensures blooming flora and fauna during its fresh, cool mountain summers. There's plenty to do here for families, couples and friends, meaning that buying property in this prestigious area isn't just an investment for the future – it's your entry into a whole new world of Alpine fun. Set in the commune of Péone, which had a population of 812 in 2008, the area has a small permanent population [https://www.communes.com/ville-peone]. Winter season runs from December to April, which is the resort area's busiest time of year and sees visitors both local and international head to Valberg's slopes. Here, skiing is king. Locals call the area's snow "white gold", and it's so important to the region's economy that significant investment has been made into installing artificial mechanisms, should nature fail to provide. They have over 400 snow cannons covering 85% of the Valberg skiing area, armed with artificial snow which is ready to be blasted out in the event of no snow, or low-quality snow. 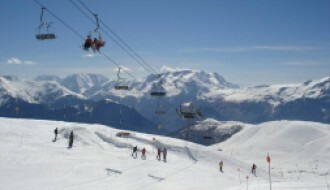 The skiing area itself includes three cross-country trails, and fifty-six alpine ski runs, suitable for all ability levels. There are forty-five kilometres of easy blue runs, thirty-five kilometres of red runs, and over ten kilometres of black runs, the trickiest of which can challenge even the most advanced skiers. There are twenty-three ski lifts around the area, which are constantly being updated to keep abreast of contemporary technology and safety. As well as ski opportunities, there are plenty of other activities available in and around the region. 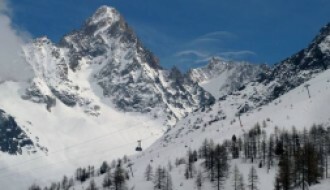 Numerous hiking trails traverse the landscape, there's gentle, child-friendly tobogganing on the slopes of La Condamine, and paragliding, rock-climbing, and even sleigh rides are on offer. The resort itself has a large sports park with indoor activities and a newly-developed snow park. Come summer, the area is perfect for exploring some of the many cycling and hiking paths around, playing a few rounds on its 9-hole golf course, or relaxing by the banks of Lake Beuil. 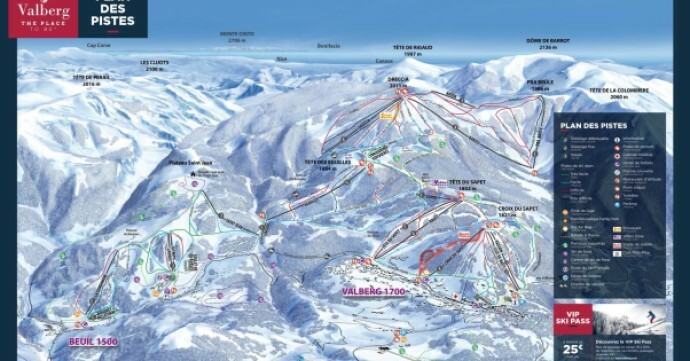 Valberg's small size gives it a very family-friendly atmosphere and means that its French character can shine through much more than in some larger resorts. It's a charming little village and is home to some excellent gastronomy, spas, pubs, and even a cinema. The village's elegant central square is known as Charles Ginésy Square, in honour of a former mayor and chair of the General Council of Alpes-Maritimes. It has central fountains and a nearby traditional market. It's in this central square that many of the village's events take place, including fireworks displays, festivals, and torchlight processions. A highly desirable location and lots to do year-round make Valberg the perfect place to invest in your own little slice of Alpine paradise, whether you're a keen skier, an outdoors enthusiast, or you've simply fallen in love with this beautiful mountain region. As a region, Valberg's weather remains fairly consistent throughout the seasons. Average temperatures range from -1 degrees Celsius in January and early February, up to 20 degrees Celsius in the month of July. The area's ski season is also very consistent, even if the snowfall is low, thanks to the high-tech snow cannons which stand ready to keep its slopes pristine. This means that it's the perfect choice for anyone looking for guaranteed skiing, or to make an investment which will stand the test of time. Natural snowfall averages out at 11-20cm per week during the winter. It's highest during the month of February when you can expect an average of 3.1 days snowfall per week. You can keep up-to-date on snowfall and weather with our Valberg resort guide here. 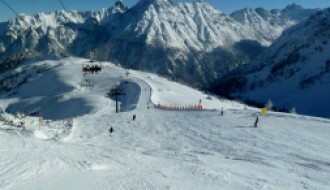 Valberg's popularity as a year-round tourist destination means that it's easily accessible from a number of locations. Nice-Côte d'Azur International Airport is approximately eightysix kilometres away, a drive of just one hour and fifteen minutes by car. You can also take bus number 770, which goes from Valberg to the Nice-Côte d'Azur Airport Terminal 1 and Nice’s central train station.